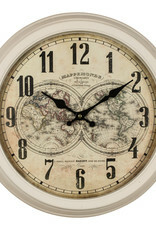 A cream metal casing with a cream clock face depicting maps of the world. 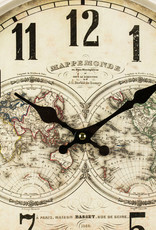 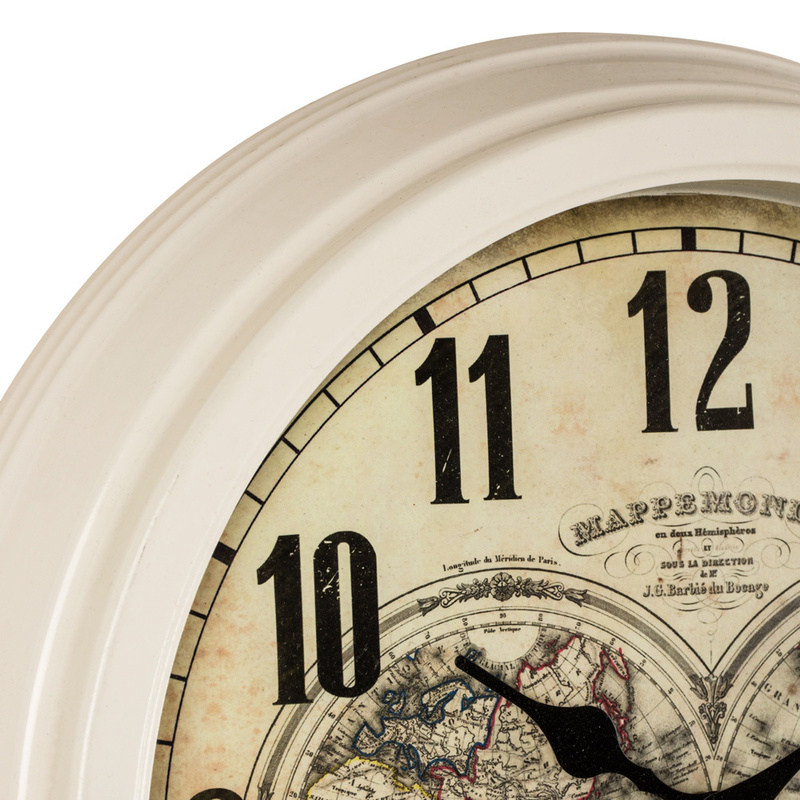 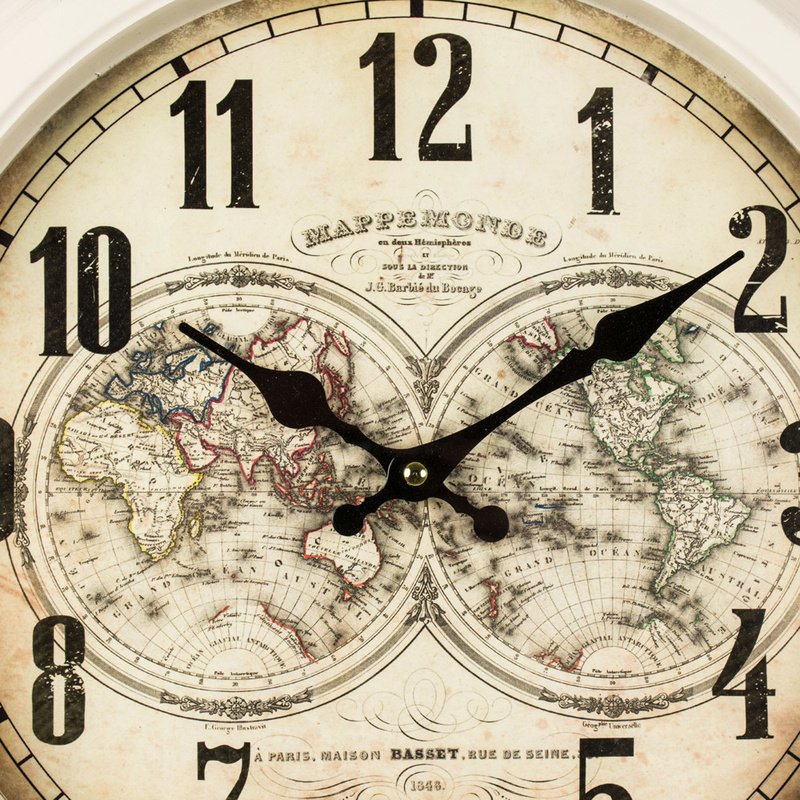 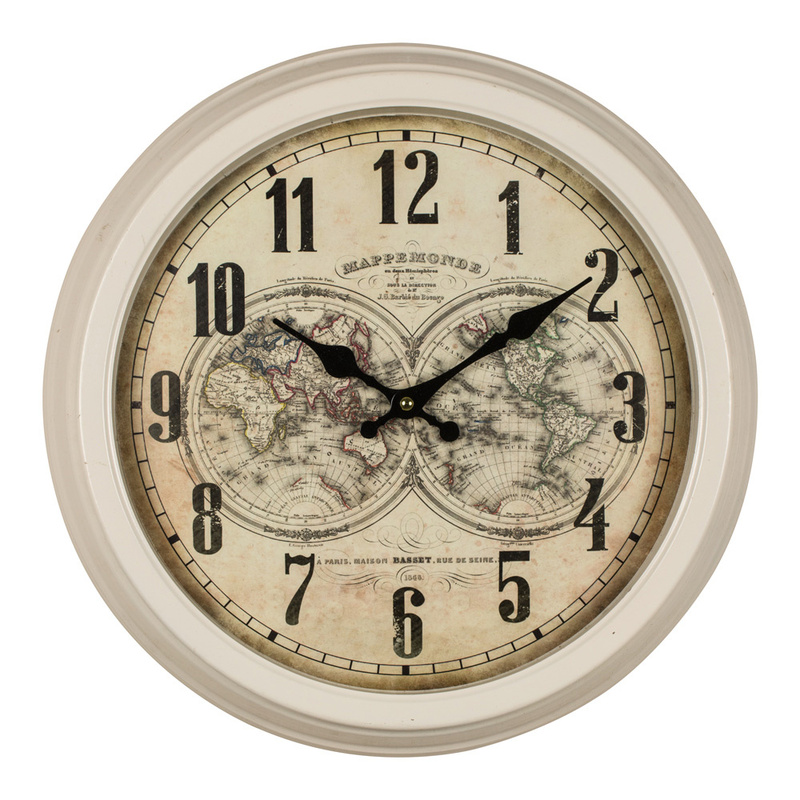 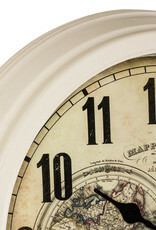 Bring a sense of adventure to your home with our world map clock. 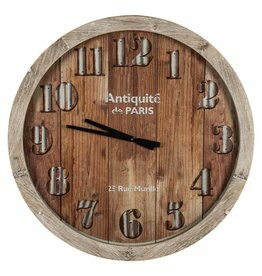 A large wooden wall clock with a faux wooden panel face.